Hello, again, true believers. Get ready for a ride..! Because this is our very first installment entitled "IS SUCH A THING EVEN POSSIBLE?" 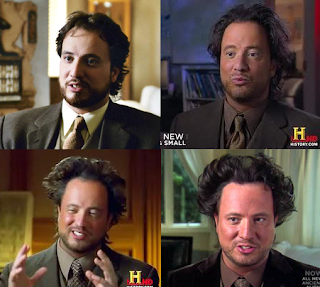 (inspired by world famous alien, and ancient mysteries expert Giorgio Tsoukalos). In this installment we will not be talking about aliens, or creatures from outer space, but the next closest thing...politicians. But seriously folks, we will be talking about a man who many feel is a different kind of politician: Dr. Ron Paul. The Occupy Wall Street protesters, and the protests of other kindred spirits of the 99% movement, seem to put their finger on a few key problems... One of them being that our politicians and lawmakers are owned by the rich, and powerful, and are therefore corrupt, and ineffectual. But how do you get the corrupt money out of our political system? IS SUCH A THING EVEN POSSIBLE? If so, it would no doubt be an extremely difficult goal to accomplish. But Ron Paul approaches the problem differently than liberal progressives who view it as the government's job to regulate corruption out of the process, and protect the people. Ron Paul believes that government is the problem..by taking as much power away from politicians as possible, and restoring it to the people, you eliminate the enticement for politicians to be corrupt. By limiting their power as much as possible, you take away some of the incentive for the rich and powerful, and the corporations to buy them off, because they no longer have the strength or authority to give them what they want in exchange for, for the lack of a better word, their "bribes." 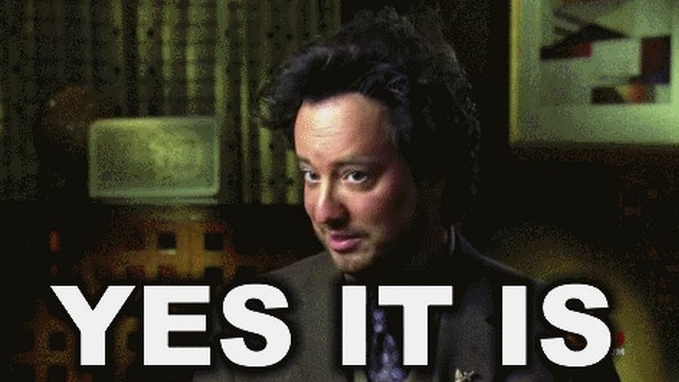 I am not a world renowned ancient aliens expert like Giorgio Tsoukalos, so I can't really say for sure...but I think it is an idea just crazy enough to work! Well, unfortunately, I suppose that interview really didn't help serve our purposes any... so, let us move right into our main question of the day here. A few short months ago the chances of Ron Paul winning the Republican nomination for president seemed beyond hope. But his recent surge to the top of the pack, or close to it in Iowa, makes this possibility much more attainable. But to win in Iowa would not be good enough. Ron Paul needs the one-two punch of victories in Iowa and New Hampshire to light a fire under his young supporters and build some momentum...to get the nomination. But if Paul does not win in Iowa, it still is not over. If Dr. Paul does well in the primaries and still does not win the nomination, the clamor from his fans for a third party candidacy with Jesse Ventura on the ticket will be so loud, it will be deafening. A coalition of the young voters that swept Obama into office in 2008, conservative libertarians, and anti-war progressives could conceivably win a three way race in the general election. 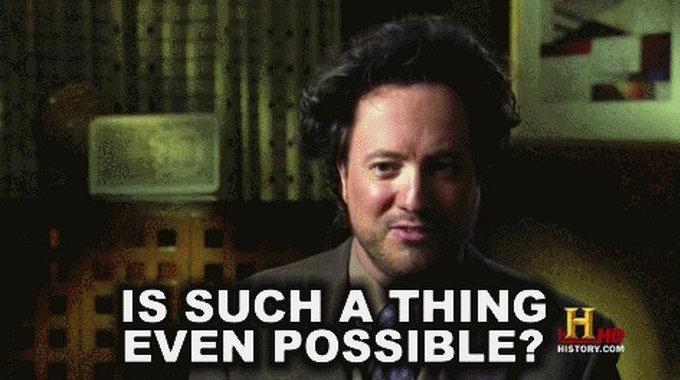 So, in conclusion the answer to our question..IS SUCH A THING EVEN POSSIBLE??? And...this has ended! As per usual we will play ourselves out with a song. Here is a live performance of "I know I know I know" by Tegan and Sara. Once again God bless you, and thank you for your support. I think it's very possible, and the only person who would be better than him is the guy who would throw a bitchin party. Tsoukalos is crazy. I think he's an ancient alien. i couldnt view the vid. it wasnt available in my country. damned youtube! Interweb, yes that's his own hair (as far as I know). Rach...KABOOM! It is possible, but it will take a lot of time, and multiple new congressmen. It is totally possible. I believe we will see a large number historically democratic voters coming out to vote for Paul in the primaries and the election. I had fun reading this. I'm really digging your blog, man. Keep up the good work! Interesting info thanks for commenting on my post! A few months ago it would have been inconceivable (what with the rising and falling wave of GOP candidates), but now it's very much a possibility.